This is the first year in a few that we've thought why not think about gifts for Valentine's Day. We've been together for almost 6 years and spend all our money on Suki (aka our child) rather than each other! We thought we'd do a little round up of bits that are perfect for Valentine's Day or if you just want to treat yourself. First up are some skincare bits from Yes To - we mean who doesn't love a pamper session on a Sunday? Not got any plans this Valentine's, Galentine's or whatever your calling it then why not get some candles on the go, run the bath and spend Wednesday evening treating yourself. We'll let you decide which takeway you go for although Papa John's has been our go to lately. 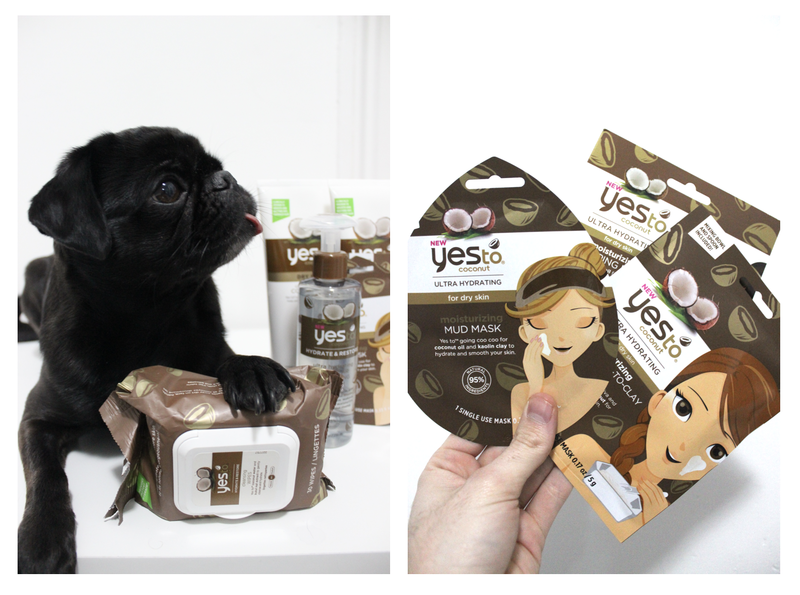 All products featured are from the Yes To Coconut range. Including an ultra hydrating Paper Mask, micellar cleansing water & cleansing wipes. We both love coconut shampoo's and conditioners as it reminds of us holiday, anyone else? It's also perfect mixed with Bradley's Bleach London pink hair dye to make the ultimate pink toning, hydrating shampoo & conditioner. What time is it Suki? Cause' it's definitely not bed time! 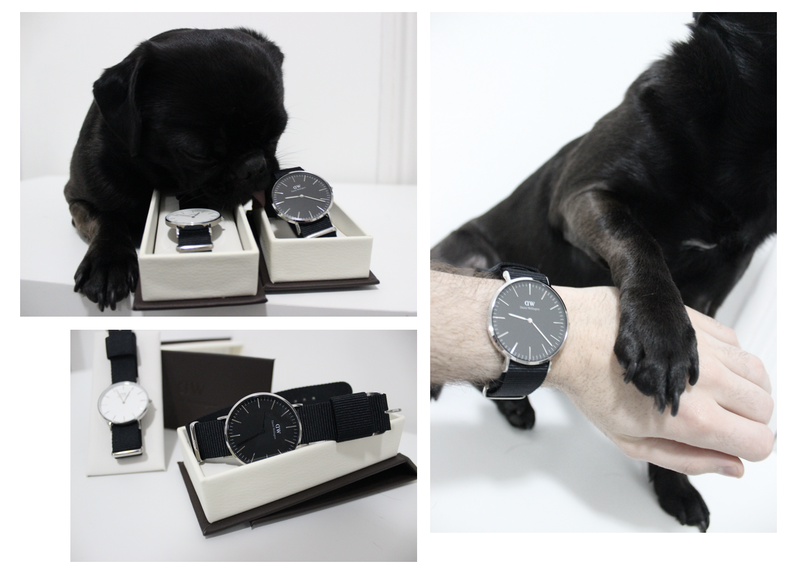 (Haha it's hard work being a doggy model sometimes she just wants to sleep) We loved these Daniel Wellington watches from WatchShop.com as they are unisex, available in different tones and in different sizes... literally something for everyone. Also these watches are the perfect chic, minimal watch for Vegans who are looking to avoid a leather strap. Last but certainly not least below are some more bits we're loving! 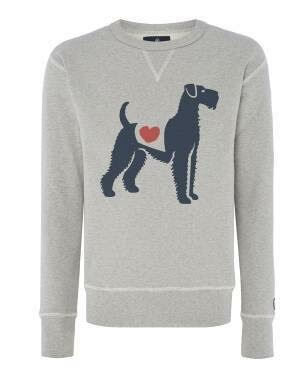 Patria has the perfect gifts for all the dog lovers out there the jumpers are all lovingly handmade in England. This jumper is not a tacky throwaway but more a timeless wardrobe staple! Patria donates 10% of all profits to Armed Forces Charities and is 100% British made. The phrase "That's going straight in my basket!" 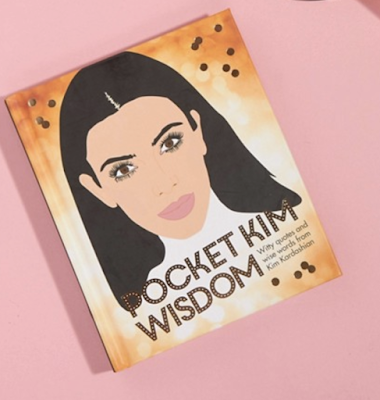 definitely comes to mind with this Pocket Kim Wisdom book available at ASOS. We'll definitely be using this and asking ourselves WWKD (What Would Kim Do) apart from uploading a Belfie.